With police reporting an overall rise in crime throughout the UK, many people are looking to add a burglar alarm system to their home, apartment or flat. We researched, ranked and reviewed the top home alarms offered in the UK to help you decide which one is right for you. Take a look at our findings and tips on what to look for in a good home alarm system. *If installed by an ADT professional. Asking the right questions can help you cover all your bases when vetting a burglar alarm company. You’ll want to dig in to customer service ratings and reputation, pricing and affordability, and what kind of equipment and features come with each system. We broke these questions down by category to give you some helpful tips to evaluate your home security options. Reputation: How long has this company been in business and what do existing customers say about it? Contracts and policies: What kind of warranty, cancellation and contract policies does the company have? Make sure you’re familiar with each of these before you sign a contract. Monthly monitoring price: How much will you have to pay each month for professional monitoring? Prices may vary depending on each plan and what features you want to add to your system. Up-front costs and fees: Will you be required to pay any up-front equipment costs, installation fees, activation fees, or cancellation fees after signing up? Clarifying pricing before you buy can save a lot of financial frustration down the road. Mobile access: Can you access, set and unset your home alarm system using your smartphone? Will you receive notifications and alerts if something triggers the alarm? Mobile access keeps you in control of your system, even when you’re not at home. Home automation: Can you control your lights, door locks and thermostat? Home automation features that integrate with your security system add an extra layer of convenience and comfort on top of the safety your system provides. Sensors and detectors: How many door and window sensors come with each plan? What other kinds of sensors or detectors are available? There’s a reason over 210,000 homeowners in the UK trust ADT to protect their homes and families. It operates around the clock, with 24/7 monitoring. So when an alarm triggers, ADT can immediately contact you, your keyholders, or notify police on your behalf. ADT has a reputation for providing quality home security and customer experience that it’s built over the last 150 years. This proven track record has helped make ADT the largest home alarm provider in the world. ADT’s popularity comes from the high-quality experience and expertise that it provides. Not only does its system work to protect your home, its people are dedicated to quick, efficient customer service including helping you build an alarm system to fit your needs. ADT’s professional installation ensures that your system will run smoothly and gives you the opportunity to ask any questions about your system in person. ADT offers a lifetime equipment warranty with its professional installation, so if your equipment malfunctions you can get it replaced for free. ADT’s monitoring starts at £29.99 per month for a 36-month contract, and up-front costs for ADT Smart Home start around £199. Should you need to cancel your service, ADT charges 80% of your remaining contract balance. ADT Smart Home offers full control of your security system so you can control your lights, access your cameras and customise your alerts. You can use the ADT app (iOS and Android) to activate or deactivate your alarm system remotely and manage a variety of home automation features, depending on the package you select. Between its free consultation, family-friendly control, and customized alarm systems, Verisure provides a unique security experience geared toward you. We especially like that Verisure offers a lifelong warranty and maintenance, but one of the drawbacks that it’s not very up-front about its pricing. You’ll need to have a representative come to your home and give you a customized quote. Verisure offers free security consultations so you can work with an expert to tailor your alarm system to meet your needs. Verisure representatives will help you settle on the best security solution for your dwelling. Whether you live in a home with lots of windows or a flat with minimal access, Verisure’s individual approach caters to the specific needs of your home. Verisure also offers a lifelong equipment warranty and maintenance to ensure that your system always performs at its best. Verisure is a little pricier than our other top picks with monitoring starting at £42.00 per month. Because of the individual consultations and the way Verisure customizes each system, it’s hard to pin down costs for equipment packages, so you’ll need to get an individual quote. We don’t really love the lack of transparent pricing, but Verisure does provide unique experiences that vary in cost, so we understand why it’s difficult to provide expectations of overall costs. And at least the consultation is free. Verisure home alarm systems are easy for family members of all ages to arm and disarm the system with its access control system and SOS button. Each member gets assigned a smart key which allows the system to keep track of who’s coming and going. Verisure’s Flat Alarm System includes a intruder deterrent sign, shock sensors, siren and a portable control panel that you can take with you if you move. SECOM dedicates itself to maintaining its systems and providing customers with a safe and satisfactory security experience. With its annual maintenance checks—performed by local technicians throughout the country—and home automation control, SECOM provides an excellent customer experience all around. SECOM is known for its excellent service and maintenance. It offers annual maintenance checks to ensure that your alarm is up to date and functioning properly. Local offices throughout the country make it easy to schedule a qualified technician for maintenance or repair if needed. SECOM even received the Metropolitan Police Service Award for its efforts in reducing false alarms. Monitoring starts at £26.00 per month for a 36-month contract. SECOM’s early termination policy requires you to pay ⅔ of the remaining service charges through the life of the contract. SECOM offers the most affordable plan on our list, but you’ll have to upgrade to get police response features, which will end up costing more than competitors. SECOM’s HomeControl+ app lets you control your burglar alarm system remotely from your smartphone, tablet or computer. You can arm and disarm your system through the app, which is nice if you forget to set it before you leave for the day or need to let in a friend or family member while you’re away. Not all home security systems are created equal. And that’s a good thing. Different types of security systems cater to meet different needs. Knowing the difference between professional vs DIY monitoring, hardwired vs wireless systems and whether or not you need security cameras can go a long way in helping you decide which burglar alarm is right for you. How you decide to monitor your system will depend on how much effort you want to put in. Professional monitoring generally costs more money but you’re paying for a monitoring specialist to contact the police on your behalf. This is especially helpful in emergency situations when you may not be able to contact police yourself. When the alarm system is triggered, the keyholder can receive an alert of the event. A professionally monitored intruder alarm system will notify a monitoring centre of an alarm going off. A monitoring specialist can contact you, your keyholders—and even the police—giving you time to secure your property. Audible alarms sound a loud siren when triggered. These are also known as “bells-only” alarm systems and do not contact a monitoring centre but instead rely on the sound to scare off any intruders. Do-it-yourself installation can save you money on costly installation fees, but it also runs the risk of not having your system installed properly. Many home security companies vary in their use of the term wireless, which can get confusing for anyone unfamiliar with industry jargon. Let’s clear up some of the particulars. Wireless and hardwired describe how security sensors throughout your home communicate with the main control panel. The sensors either are attached physically to the overall unit or communicate wirelessly using RF or Wi-Fi. 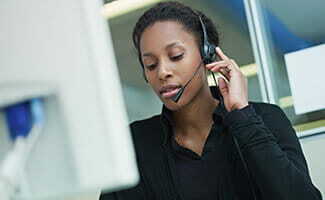 The term cellular describes how your alarm system communicates and connects with the provider’s professional monitoring centre. Wired home alarm systems tend to need less maintenance overall and are considered more reliable, but they do require professional installation, which can cost you more up front. Any intruder alarm intended to contact police must meet the standard of the Intruder Alarm Policy set by the National Police Chiefs Council (NPCC). Wireless home alarm systems are more convenient as they are less disruptive during installation and require less time to install. Many providers also allow you to take your wireless burglar alarm with you if you move. This is a great option for renters who might switch apartments periodically. 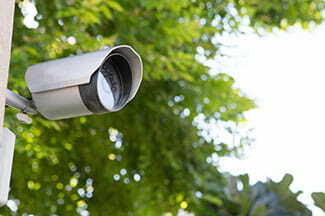 A security camera or CCTV system is a great way to deter would-be intruders from entering your home. It’s an added layer of protection, and many allow you to access them remotely from your smartphone so you can keep an eye on your home while you’re away. Security cameras are available in many different varieties. Indoor, outdoor and even doorbell cameras can survey entrances and high-trafficked areas in and around your home. Think about whether or not you want to add security cameras to your alarm system and look for a security plan that offers the right surveillance solution for your home. What experience do you have with home alarm companies? Leave us your questions and feedback below so we can better help each other find the right security fit for our homes.